Ultimate Survival Backpacking Stoves Folding Stove With Fuel 20STV000110. 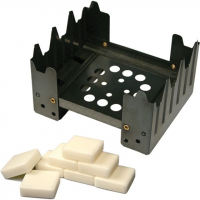 0 is a light durable and compact cooking platform that is perfect for mess kits backpacking and emergency situations. 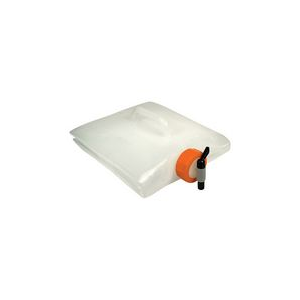 Legs fold flat for easy storage. Includes eight fuel cubes. Ultimate Survival Camp & Hike Paratinder Zipper Pull 2 Pk 2002986. 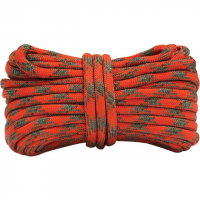 It combines life-saving fire tinder and a 550 paracord for the ultimate gear duo. The addition of a single tinder thread allows this paracord to pull double duty. Ultimate Survival Camp & Hike Sparklite Glo 2002753. Will ignite a wide range of tinders. 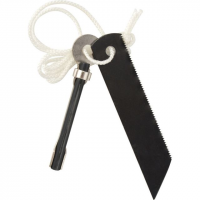 Serrated edge on striker bar can be used to saw or shave magnesium shavings.